As Judge Kavanaugh careens towards a final confirmation vote, I digress this morning for something non-political. 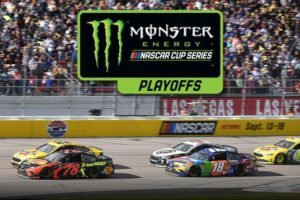 I’ve been reading stories that interest in NASCAR motor sports racing is declining and efforts to boost attendance through its playoff series ain’t working. Same process of elimination for just about every other sport with a playoff system. Think Super Bowl. World Cup. Stanley Cup. Heck, even college football has finally switched to a mini-playoff system of single-game elimination.